Philip met Don Bosco at age 5, and apparently instinctively understood the importance of the future saint. Though he felt a call to a religious vocation, Philip was torn, and was seriously considering marriage when he decided to become a disciple of Don Bosco at age 22. The Christian Brothers immediately saw something in him, and made him an assistant novice master even before he took his vows as a Salesian on 13 August 1880. Though he had no intention to become a priest, his superiors, who saw his potential better than he did, ordered him to study and take the tests, and he was ordained on 23 December 1882. In addition to his work as novice master, Philip was placed in charge of the "late" vocations, those like himself who came to the Order as adults. Director of the Salesian community of Sarriá, Spain in 1889; he opened several new houses, and brought in many new vocations. Salesian provincial director in Spain from 1892 to 1901. Began publication of Lecturas Catolicas in 1895. Helped the Daughters of Mary, Help of Christians expand in Spain. Vicar-General of the Salesians on 1 April 1901. Founded centres to minister to the daily and spiritual needs of young women. Helped found the World Federations of Past-Pupils, and assisted the Salesian Sisters. Organized the Salesian International Congress of 1911. With Zelatrici di Maria Ausiliatrice he helped found the group that would evolve into the Volunteers of Don Bosco. Rector Major of the Salesians on 24 May 1922, the third successor to Don Bosco, and the last one to have been personally trained by him. From that position he worked to bring Doc Bosco's vision to the 20th century, and the 20th century to the vision, doing all he could to spread Salesian spirituality and trust in God. He sent many young Salesians to learn foreign languages and customs so they would become more effective missionaries, and he asked Pope Pius XI to grant the "indulgence for sanctified work". He travelled extensively, preaching, encouraging vocations and the spiritual life of the laity. During his tenure the number of Salesians went from 6,000 to 10,000, there were 250 new houses and centres opened, and his teacher Don Bosco was recognized as a saint. Spiritual student of Saint Euthymius the Great at age 20. Anchorite from age 30, living in a cave, devoting himself to prayer and manual labor. He wove ten willow baskets each day. On Saturday he would take them to the local monastery, led by Saint Euthymius, and trade them for a week's food, and a week's worth of willow wands for more baskets. Took over leadership of the monks upon the death of Saint Euthymius. Co-superior with Saint Theodosius over 1,000 monks and hermits in the region. Sabbas was a simple man with little education, but with a firm belief in the spiritual benefits of simple living. The combination of his lack of education and his severe austerities caused some of his charges to rebel. Sabbas tired of the squabbling, and he missed his time in prayer, so he fled to TransJordania. There he found a cave inhabited by a lion; the lion moved on, finding a new home, and giving the cave to the holy man. A distorted version of this tale reached the rebellious monks; they seized on it, reported to the patriarch that Sabbas had been killed by a lion, and requested a new leader be appointed. As this message was being formally presented to the patriarch, Sabbas walked into the room. This led to a confrontation during which the complaints of the monks were aired. However, the patriach took Sabbas's side, and the two restored order and discipline to the lives of the anchorites. Sabbas led a peaceful uprising of 10,000 monks who demanded the end of the persecutions of Palestinian bishops of Anastatius I. At age 90, Sabbas travelled to Constantinople where he successfully pled for clemency from Justinian for Samarians who were in revolt. Jean-Baptiste grew up in a pious household, the son of Louis Fouque and Adèle Anne Remuzat. He studied at the school run by Servant of God Joseph-Marie Timon-David. Ordained a priest in Marseilles, France on 10 June 1876. Parish priest in the French cities of Auriol and La Major from 1876 to 1888; he was assigned to the Sainte Trinité parish on 15 April 1888, and served there the rest of his life, over 38 years. In December 1891, his vicar-general asked Father Jean-Baptiste to organize care for orphans and abandoned chilldren. He founded "Le Sainte Famille" home for girls, which was eventually given to the care of Presentationist nuns, and used it as a model for opening other houses around the diocese, some for young girls, some for young boys, and some for those old enough to work as domestics. Opened "L'oeuvre de Salette" home for the elderly and infirm in an old convent in 1905. During World War I, 1914 to 1918, he worked to help the wounded and displaced. There was little money available after the war to continue his work, but Father Jean-Baptiste convinced some physicians to donate their time to care for the poor and neglected. By 1919 the need for their work was so obvious that he was able to start contruction on a hospital for the poor, and opened the Saint John Hospital on 20 March 1921. Born to the Breton nobility. Well educated. Priest. Left his country to become a travelling evangelist. Settled to live as a hermit on the Isle of Ramsey near southern Wales, living with a pious layman named on Honorius; he moved in on the condition that all the women of the household were sent away. He visited Saint David of Wales, who was so impressed with the man's holiness that he gave him hermitages on the mainland and a nearby island. Justinian is listed on very ancient Welsh calendars of saints and martyrs, and the church at Llanstinan is dedicated to him. Some wonderful stories have become attached to the holy hermit. • Once some sailors landed at the island hermitage. They said that Saint David was very ill, and that they had been sent to bring Justinian to the mainland. En route, Justinian discerned that the sailors were actually devils in disguise. The saint recited Psalm 79; the devils changed to blackbirds and flew, leaving the boat to sail itself safely to shore where Justinian found David in excellent health. • Justinian died when he advised his servants that they should apply themselves to their jobs. Goaded by devils, the three of them became enraged, assaulted Justinian, and beheaded him. At the place where the body fell, a spring of healing water emerged from the ground. The killers were struck with leprosy, and lived out their days in the caves and rocks near the hermitage. Justinian had already specified a location for his burial; a church was built over the tomb, and became known as a scene of miracles. 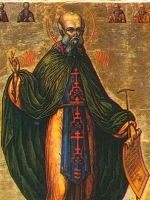 Saint David later moved the body to his own church. Born to the Anglo-Saxon nobility, the daughter of Autti, a rich and influential guild merchant. At age 15 she visited Saint Albans Abbey where she made a private vow of celibacy. Her parents opposed her vow, and arranged a marriage for her with a man named Berktred. Christina took her case to Bishop Robert Bloet who initially sided with her, but who was later bribed into changing his ruling. Christina was betrothed and married against her will, spending the first years of married life as a prisoner, refusing to consummate the union. With the help of a hermit named Eadwin, she escaped, and fled to Flamstead where she lived for two years with an anchoress named Alfwen. She moved to a hermitage at Markyate, Hertfordshire, England in 1118, becoming the spiritual student of the hermit Blessed Roger of Albans. In 1122, Burktred obtained an annulment from Thurstan, Archbishop of York, England. This and the death of bishop Bloet in 1123 allowed Christina to return to Markyate where she lived the rest of her life. Her reputation for holiness soon attracted others, and her house became a priory of nuns. She was offered the position of abbess in York, Fontevrault, and Marcigny, but stayed at Markyate. A skillful needle worker, Christina embroidered mitres and sandals for the English Pope Adrian IV, a former student of Saint Albans. While noted as stable and balanced, she was given to ecstacies and visions. Anatomist and priest. Among his anatomical achievements was the discovery of the excretory duct of the parotid glands and the circulation of the blood in the body. When the Danes finally called for him to return, he had become a Catholic in Florence, Italy, and as such could not return. In Italy he made many geological discoveries and was the first to explain petrifactions in the earth. Ordained in 1675, he was made vicar Apostolic for the northern missions and titular bishop of Titiopolis. He was in a constant personal struggle to have this faith and his scientific discoveries exist and work together. Grew up in Ireland. Educated at Much Woolton, in Rheims, France, and at the English College, Rome, Italy at age 20. Ordained in 1598. Returned to England as a home missioner in 1602. Arrested in 1608 and 1612 for the crime of being a priest. The effectiveness of his debating skills against the anti-Catholic powers of the time led to his being one of the Forty Martyrs of England and Wales. First bishop of Nice, France. Burned, beaten, tortured, and executed in the persecutions of Emperor Decius. Martyr. Born a wealthy Roman citizen, she was a married lay woman, and mother of several children. 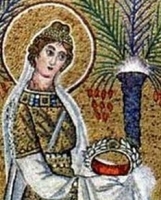 Arrested for her Christianity during the persecutions of Diocletian. Tried, abused, humilitated and threatened in Thebeste (Thebessa) by Roman proconsul Anulinus, she gave a spirited defense of the faith. When she finished, she was sentenced to die. Marytr. Saint Augustine of Hippo routinely brought up Crispina in his homilies on martyrs. Carmelite priest at Mantua, Italy for 35 years. Spiritual director and rector of the Confraternity of the Blessed Virgin Mary, for which he composed a rule and statutes. 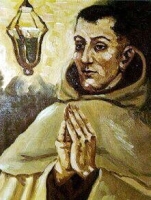 Spiritual teacher of Blessed John Baptist Spagnuolo. Noted preacher and healer with a strong devotion to the Eucharist. Born to the French nobility. Benedictine monk at Moissac, France. Taught grammer and music. Worked with the archbishop in Toledo, Spain, and served as cathedral choir director. Reforming bishop of Braga, Portugal in 1100. Stopped ecclesiastical investiture by laymen in his diocese. First priest in 7th century LaTerrasse, diocese of Grenoble, France. After years of bickering among his parishioners and slander from every corner, he retired to live as a hermit at LaChambre, diocese of Saint-Jean-de-Maurienne, France. Built a cell for private prayers, and a nursing home to care for the poor. Spiritual director of a man later known as Aprunculus (little wild boar). The town of Saint-Avre, France grew up around the cloister. Raised a pagan. Adult convert to Christianity. Preached in Gaul and northern Italy. Bishop of Pavia, Italy for the last year of his life. Martyred in the persecutions of Maximian Herculeus. Born to the Italian nobility. Benedictine monk at Cuxa in the Catalonian Pyranees of Spain. Friend and fellow monk with Saint Peter Urseolo. In later life he retired to live as a hermit near Monte Cassino Abbey in Italy. Soldier in the Theban Legion. Martyr. Benedictine monk at Ebriciacum (in modern France). 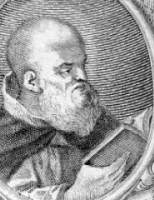 Founder and abbot of the abbey of Livray, France. Bishop of Bayeux, France. Priest. Bishop of Brindisi, Italy. During the persecutions of Julian the Apostate, Pelinus prayed in front of a temple to the pagan god Mars; it collapsed. Martyr. First bishop of Lucera, Italy; tradition says that he was consecrated by Saint Peter the Apostle. Martyred in the persecutions of Trajan. Born while her parents were on pilgrimage to the Holy Lands. Nun in a nearby convent that had been built by her father. Monk of Saint Peter's Abbey near Aquara, Italy. Chieftain in Brecknock (in modern Wales) and Hereford (in modern England). Abdicated and retired to a monastery under the leadership of Saint Illtyd. Benedictine nun. Abbess of Oehren (Herren; Horreum) Abbey, Trier, Germany. One of twelve Africans martyred in the persecutions of Diocletian. During an early persecution of Christians, Anastasius publicly proclaimed his faith. Martyr. Sixth century bishop of Verdun, France. A group of twelve African Christians who were martyred together in the persecutions of Diocletian. The only details about them that have survived are five of their names - Crispin, Felix, Gratus, Juliua and Potamia.